BRANDON, MB – MNP is honouring the memory of Shawn de Delley, a long-time MNP employee and supporter of Brandon University (BU), with a significant bursary to assist students enrolled in the University’s Bachelor of Business Administration program. MNP’s gift of $25,000 will be matched with an equal amount from the Manitoba Scholarship and Bursary Initiative (MSBI). Additionally, $7,000 in personal gifts from MNP partners will be added to these funds to establish a total endowment of $64,000 to create the Shawn de Delley Memorial Bursary. This award will provide approximately $2,800 per year to a Business Administration student with financial need. “Shawn was a big supporter of education, and in particular, BU,” said Dan Trotter, Managing Partner at MNP for Southern Manitoba. 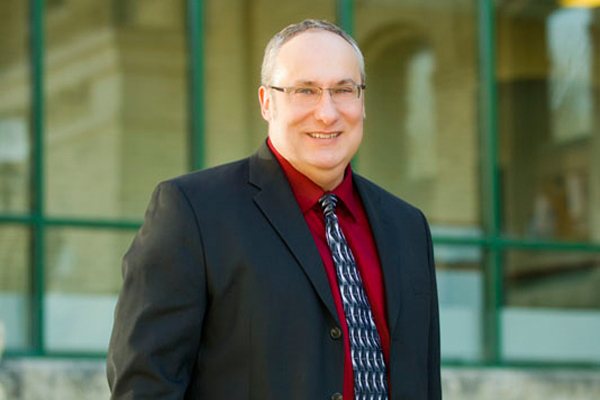 Shawn de Delley obtained a Bachelor of Arts degree from BU before joining MNP in 1996, and later received his designation as a Chartered Accountant in 1999. He was made a partner at MNP in 2007, and became a Regional Tax Partner in 2008. de Delley was highly involved in the community, serving as a Board Member of the Brandon United Way, and as a member of the Brandon Chamber of Commerce and Brandon Rotary Club. He also volunteered extensively at Brandon University, serving as Treasurer of the Brandon University Foundation from 2005 to 2011, and as Chair of the Brandon University Foundation Investment Committee. On September 6, 2013 de Delley lost a courageous battle with cancer. He is remembered by all who knew him as an individual that gave significantly of his time and expertise to better his community and University, while creating life-long friendships with many of his clients at MNP and his colleagues as a volunteer at BU. MNP also supports a number of other awards at BU, including the David & Lorraine Norris Memorial Scholarship-Bursary, the MNP Business Awards, and MNP Scholarships. The firm’s gifts to Brandon University have totaled $145,000 since 1989.